Behind the pick and mirror, "Hawk" was Charlotte's most outspoken civil rights leader. A few nights before Thanksgiving, the weather is nasty in Charlotte — the kind of fall storm that's good for little more than burrowing under blankets and being lulled into a hypnotic dream state. Rain drums the rooftops in McCrorey Heights, one of the city's oldest black, middle-class neighborhoods, and peals of thunder periodically split the night. Inside a three-bedroom ranch home on Madison Avenue, Reginald Hawkins, a local dentist, snuggles closer to his dozing wife. An atom-cracking boom jerks them both awake. At first, he thinks the house is caving in. He leaps up from the bed, barefoot, adrenaline numbing him to the shards of glass that were once a bank of windows along the back wall. Racing outside, he hears the squeal of tires as taillights fade into the night. It is 2:31 a.m. on Nov. 22, 1965 — the two-year anniversary of John F. Kennedy's assassination — and Hawkins' home has just been bombed. Even before the term "New South" came into use, Charlotte promoted itself as a progressive city. As demands for civil rights galvanized activists across the country, Charlotte seemed protected from the violence erupting in similarly sized Southern towns. The Greensboro Daily News called the Queen City "a decent community that long ago set a good example in race relations." Moderately conservative blacks and whites worked in tandem, taking measured steps toward civil rights — or so the official story goes. In actuality, discrimination affected every facet of life that counted for black Charlotteans — education, health care and representation at the ballot box — and they paid the same taxes only to be treated as second-class citizens. Charlotte leaders' go-slow mentality actually saw only minimal gains — until Reginald "Hawk" Hawkins changed the rules. "He was years ahead of his time," Congressman Mel Watt says of Hawkins. "He never stepped on mine, but I suspect a lot of toes felt vulnerable around him, because he didn't bite his tongue." During the civil rights years, Charlotte Mayor Stanford R. Brookshire and Councilman Frederick Douglas Alexander exemplified the gradualism philosophy. Brookshire came to office in 1961 from his seat as president of the Charlotte Chamber of Commerce, and he ran the city from the perspective of a businessman. A moderate sympathizer of civil rights, he saw the economic damage that media images of demonstrations, police dogs and fire hoses had done in other Deep South cities, and concluded that strident resistance of civil rights was simply bad for business. And yes, morally wrong, too. Brookshire carefully tended Charlotte's progressive image, orchestrating a peaceful overthrow of segregation in downtown restaurants to stem a wave of demonstrations. "We didn't want to have to put out fires in Charlotte," he told reporters in 1965. "We wanted to do those things that would prevent confrontation." 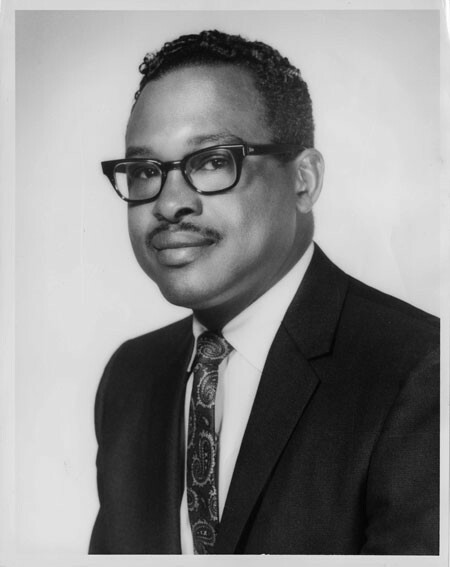 The mayor's ascent coincided with that of the quietly ambitious Fred Alexander, who had carefully laid his political foundations: the first black man allowed into the Charlotte Chamber of Commerce in 1962; appointed to Mecklenburg's public welfare board in 1963; an executive committee member for the county Democratic Party in 1964. From the distance of history, it's almost no surprise that, in 1965, Alexander became Charlotte's first black city councilman — and the first African American elected to public office in Mecklenburg since Reconstruction. A dedicated moderate, Alexander sought to advance African-American life through appointments to public policy bodies like the Urban Redevelopment Commission and the Civil Service Board. He worked closely with Brookshire on the mayor's Community Relations Committee, a board formed to address and defuse black Charlotteans' demands for full suffrage. For years, the two men worked together, Alexander the counselor to King Brookshire, politely seeking redress and counting small gains: the hiring of more black police officers; admittance to some white movie theaters for blacks who'd made reservations (groups were not encouraged). But for all of his caution, the newly elected councilman's home was also bombed that night, as was his brother Kelly's, who led the state branch of the NAACP, and the home of young civil rights attorney Julius Chambers. All four men were involved in the landmark Swann v. Charlotte-Mecklenburg Board of Education, the federal case that instituted busing as a solution to desegregate schools. The case was just days into its first hearings. "I thought Charlotte had moved in a direction that this wouldn't happen here," Kelly Alexander told The Charlotte News the day after the bombing. "This wasn't done to frighten us. This was done to kill us." Miraculously, no one sustained serious injuries. Investigators reported that the bombs appeared to have been constructed and planted by someone with professional knowledge, but clues were hard to come by, even with a public reward offered for any clues that would lead to the capture of the terrorists. Gov. Dan Moore strongly denounced the bombing, and Mayor Brookshire went into immediate damage control, paying Councilman Alexander a courtesy visit and encouraging representatives of the white government and business community to do the same. Brookshire also announced a rebuilding fund, "to apologize to the victims and to repair the damage done to these homes and to the good name of our city," but it was too late. The cover had been blown off of Charlotte's intolerance, and images of the shattered homes were splashed across national newspapers, including the New York Times. Brookshire encouraged the public to donate to the rebuilding fund, which through corporate and private gifts grew to several thousand dollars. Charlotte Home Builders Association sent 150 bricklayers and carpenters to work on repairs. But the first house to be repaired wasn't that of Brookshire's good friend Fred Alexander — it was the home of the victim he had the coolest feelings toward: Dr. Hawkins. Hawk Hawkins was the firebrand to Alexander's measured cool. The bombastic Beaufort, N.C., native exhorted blacks and challenged white leadership with threats of demonstrations and even reprisals. A master strategist, he knew the right buttons to push. This act-now attitude rubbed many the wrong way. Mayor Brookshire called Hawkins "belligerent" and his policies "coercion," and Hawkins was reprimanded by black leaders afraid he would undo years of painstaking progress. But the dentist was relentless. "Too long have black people sought a place at the bargaining table, only to receive the crumbs after dinner is over," Hawkins told a crowd of supporters in 1968, during his first bid for governor. He would run again in 1972, both times pushing the message of equal treatment and opportunities for all North Carolina citizens. "A lot of what he did got lost in his impatience," attorney James Ferguson II says. Ferguson managed Hawkins' first gubernatorial campaign and shares a law practice with Chambers. "But it shouldn't be lost that our two black mayors owe a lot to the stands Hawk took. It made many people realize we could be mayor; we could be president." Despite his militancy, Hawkins was close to Fred Alexander and other moderates. "It was a difference in style more than substance," Ferguson says. "Some in our community thought it more effective to establish rapport or deal in a milder way, but [the moderates] helped us — some openly and some not so openly." 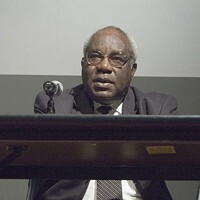 Hawkins had been educated at two historically black schools, Johnson C. Smith University, where he earned a master's of divinity, and Howard University in Washington, D.C., where he received his dental license in 1948. After service in the Korean War, he returned to Charlotte to open his practice and got involved in the push to desegregate Charlotte schools. On Sept. 4, 1957, Dorothy Counts, daughter of a JCSU professor, pulled on a carefully pressed plaid dress with a strikingly long ribbon, which she tied into a bow at her neck. The teenager would be integrating Harding High School that morning, and she wanted to look good; she knew her picture might be in the newspaper. Just a few days prior, Arkansas Gov. Orval Faubas had made national news by ordering troops to surround an all-white Little Rock high school, declaring that if any African-American students attempted to enter, "blood will run in the streets." In town, the Ku Klux Klan was picketing the Visulite Theatre for showing Island in the Sun, which featured Dorothy Dandridge in America's first filmed interracial kiss. And demagogue John Kasper stood on the steps of the Mecklenburg County Courthouse, exhorting a crowd of 300 to drum out the four teens who would be integrating schools in Charlotte. "We want heart attacks, we want nervous breakdowns, we want suicides, we want flight from persecution," he said. Hawkins escorted Counts home from her first day at Harding, through a virtual "shower of spittle, pebbles, sticks," he recalled. The taller than average 15-year-old was stoic as she marched through the hostile crowd; one matron instructed the jeering students to "spit on her, girls!" Almost 50 years later, one of Counts' tormentors would discuss the incident. "I do remember that ribbon in front of her dress," Marty Wilson said in a 2005 video interview. "I thought, 'She's a lot better dressed than we are. That's not right.'" Counts did make the papers, nationally, and business leaders were appalled to see Charlotte looking like Selma and Birmingham on the world stage. The experience galvanized Hawkins. He resigned from the NAACP to form the Mecklenburg Organization for Political Affairs, a voting rights group, and began organizing JCSU students for protests and boycotts. He filed suit against the North Carolina Dental Society over their whites-only policy, which prevented his practicing at Charlotte Memorial Hospital, and in 1962 led pickets at Mercy, Charlotte Memorial, Presbyterian and Good Samaritan hospitals. This confrontational approach made good use of news cameras and the press, embarrassing Charlotte's establishment and realizing change much faster than the old, go-slow route. Mayor Brookshire issued a statement criticizing the demonstrations, saying "such acts tend to destroy the goodwill so necessary to any progress." But Hawkins didn't stop, writing to Attorney General Robert Kennedy that the hospitals did not live up to the nondiscrimination provisions required when they received federal funds. Within a few months, the Department of Health ordered Memorial to desegregate its maternity and dentistry wards. Hawkins declared he would not be satisfied until "every vestige of segregation is removed from a hospital built with local, state and federal funds," and continued monitoring Memorial for subsequent instances of discrimination, until in 1963 the facility announced a new open-door policy for all patients. It wasn't long after the integration of Charlotte schools that a trend emerged: The school board would pull white students from an integrated school, send them to a new school and assign all black students to the old school, neglecting its previous level of resources. This wasn't so much integration as a shell game. In 1961, the latest school to fall was Harding, which had been renamed Irwin Avenue Junior High. Hawkins led a weeks-long boycott, encouraging black students to remain at their previous schools, or stay home. "Tell them you're sick of segregation and hand-me-down-itis," he told them. Hawkins could not stay still: come spring, he was leading JCSU students in a series of lunch counter demonstrations targeting the downtown area. His leadership successfully integrated restaurants including those in Belk's and Ivey's department stores. Buoyed by the gains, he turned to movie theaters, but in the Southern mind, theaters didn't operate in the same space as brightly lit restaurants. Theaters are ... dark, intimate. Consequently, the theater owners did not cave under Hawkins' pressure. By 1963, Mayor Brookshire, sick of demonstrations he felt were besmirching his town, had his Community Relations Council call a meeting of Charlotte business owners. Convincing them was easier than expected: the CRC simply presented the economic realities of Little Rock, Ark. "Two or three years without a single new industry — [the business community] just couldn't take that," one attendee said at the time. Still, it was a start-and-stop process; many business owners agreed privately to integrate, but no one wanted to be the first, and no one wanted the press to announce it. Eventually, Brookshire had white businessmen and prominent black men make reservations in groups of two, four and six at the white tablecloth establishments. The black invitees included faculty and staff from JCSU, as well as known ministers and civic leaders. Hawkins was not invited. Local historian Jay Whipple is founder of Queen City Tours, for which Dr. Hawkins would occasionally show up and make a presentation before his death in 2007. Whipple believes Hawkins offended Mayor Brookshire's liberal sensibilities. "Brookshire wanted credit for setting black people free," Whipple says with a chuckle. 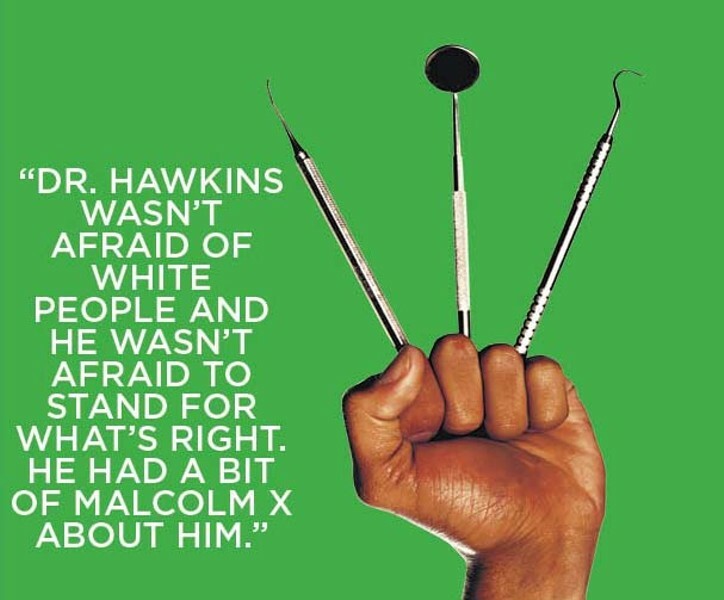 "But Dr. Hawkins wasn't afraid of white people and he wasn't afraid to stand for what's right. He had a bit of Malcolm X about him." Attorney Ferguson is more forgiving. "Hawkins wasn't so much at odds with moderates as his sense of urgency for civil rights was greater," Ferguson says. "Given that, it's no surprise there was tension or conflict between them." 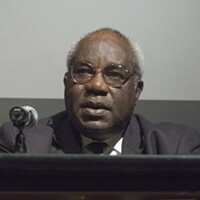 Following the bombing at the civil rights activists' homes, Hawkins flew to New York to discuss the possibility of a massive protest. He was furious, and told The Charlotte News there had been "talk of possible retaliation" from the black community. But just in case, Charlotte police sought reinforcements from surrounding towns. "People often ask me how we got through it. The community wrapped their arms around us," says Lorena Hawkins, the youngest of Hawkins' four children. Now a medical doctor in Washington, D.C., she was eight when their home was hit. It was hardly the first time Hawkins or his friends had been targeted. In August 1965, an unidentified assailant fired a shotgun at his house, damaging the front of the structure and pockmarking his cars and boat with buckshot. And earlier the same year, Attorney Chambers' car was bombed in New Bern. Three assailants confessed; they received fines and suspended sentences. A Nov. 24, 1965 editorial of the Virginia Pilot called the slap on the wrist an "invitation to violence" that it hoped would not be repeated in the Charlotte bombing case. It wasn't — the guilty parties were never apprehended at all. But the threat backfired: "Afterward, we were just as determined to pursue our course of action as before," attorney Chambers says. "More so, in fact." Hawkins continued to push for material change, both in the city at large and in the black community, especially in his 1968 gubernatorial run. Martin Luther King Jr., with whom he had corresponded over the years, was scheduled to speak at one of Hawkins' campaign events in April, but the minister sent a telegram on April 2 stating he would be heading to Memphis to assist in the sanitation workers' strike, and thus postponing the appearance. King was shot and killed in Memphis two days later. Hawkins ran for governor again in 1972, garnering the support of both black and white liberals, but not enough to make the win. But that wasn't the point. "He was a realist and a visionary, because he knew those campaigns laid the groundwork for many other subsequent campaigns. It wasn't about winning," Rep. Watt says. Hawkins died in 2007 at 83. Even until the end, his fire for the movement didn't waver. Progress could never come fast enough for him, his friends say, because of his concern for people on the lowest level of society. "He was always challenging the system to be better than it was," Ferguson recalls. "He used to say, after he got older, that he wanted to write a book. 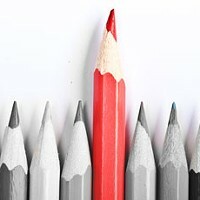 He already had the title: Everything is Different, but Nothing has Changed." He "represented the right side"